Moving into real estate was an inevitable step for Anna-Marie and was seen as a significant cornerstone within her career. With the vast and in depth exposure to sales, marketing and business development provided to Anna-Marie whilst working within the legal and professional services industry, she was introduced to the construction and real estate platform early and as a result has great insight to the Western Australian markets. What does Canning Vale and its surrounding suburbs mean to Anna-Marie? With a sense of community and familiarity growing up in the Canning Vale area, she has vast and powerful insights into the area of Canning Vale, Harrisdale, Piara Waters, Southern River and a number of their neighboring suburbs. Throughout her career Anna-Marie has repeatedly received feedback identifying some of her strongest attributes as professional, down to earth and friendly, attentive to detail and driven to see results. She always focuses on and prioritizes her clients in order to achieve the best possible outcome. Bringing her negotiation skill sets from her previous career, Anna-Marie is able to achieve what her clients are looking for. No matter the time or day, she goes over and beyond to provide each client with a premium service to meet and exceed their property expectations. Now having a broad and professional network within Perth’s metro and south, she brings a positive and committed attitude to those surrounding her. Many of Anna-Marie’s previous clients would testify to her dedication and ongoing care. Her consistent nature and perseverance to any task at hand ensures that your every need will be met and that every expectation is exceeded within a timely manner. Anna-Marie is a professional, dependable and reputable Sales Partner at Harcourts Elite Real Estate. Regardless of whether you are buying, selling or needing property management advice we would highly recommend Anna-Marie Bartolome as the expert to help you! 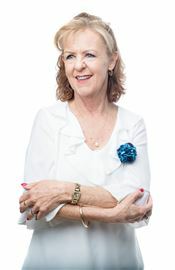 Nancy Bird has built a strong reputation as a highly skilled negotiator and exceptional sales strategist. Nancy brings first class service to all her clients, passionately working with them in presenting and staging their properties to maximise their outcome. With proven results and a number of record sales driven by her enthusiasm, persistence and desire to exceed people's expectations, Nancy is driven to adding value to people's lives and making a difference..
Senthur Kumaran is a jack of all trades! 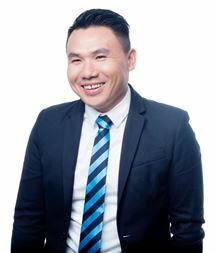 His vast knowledge within Accounting, Finance and Real Estate enables him to offer an all inclusive service to his clients. Senthur has a positive outlook on all things that cross his path. His devotion to seeing his clients happy and working hard to deliver the best possible result is something that many of his clients speak highly of. 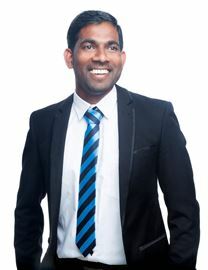 Senthur always operates in the best interest of his clients, he is known for his negotiation skills and friendliness. Senthur offers a number of services including selling and leasing advice. His 'real' and 'reasonable' approach to each property allows him to turn around the most challenging at times. If you are looking for a Sales Executive who will drive a sales campaign to see an end success, call Senthur TODAY to arrange your property appraisal at a time that best suits you! ‘With a strong focus on attention to detail, Kerryn brings more than 16 years’ experience to her role as Head of Sales Administrator at Harcourts Prestige Real Estate’ Kerryn is passionate about consistently delivering an outstanding level of service and she takes pride in assisting agents, buyer and sellers as they navigate the sales process. Her current role sees her heavily involved in the behind-the-scenes aspects of managing listings and sales appraisals. Having previously owned and operated her own Real Estate Agency as Licensee, Kerryn holds a Diploma of Property Services Certificate and is a registered Sales Representative, she brings a wealth of experience and qualifications to every task. Kerryn thrives on working in a team environment and continually strives to improve her knowledge. She is passionate about helping both buyers and sellers have the most positive experience they possibly can. 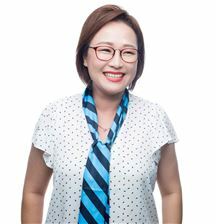 Michelle Ma is a devoted, energetic, and trustworthy team player who aims to achieve the best she can. Michelle just came out of the teaching industry and has come into real estate, as she loves a challenge and has a strong passion in helping others. Michelle understands that every client has a want and a need, which is why she understand that communication is a strong key and will give 110% in all that she does. Michelle is also fluent in Cantonese both speaking and listening. Sunny is attentive to detail and has a professional manner. 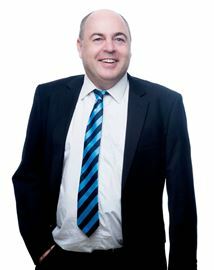 He is a qualified Chartered Accountant who has a 'can do' attitude to all things accounting! 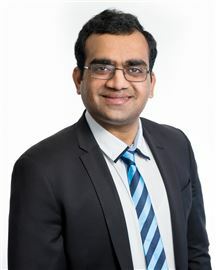 With his dedication towards improving systems and implementing solutions, Sunny prioritises client and creditor satisfaction. His commitment to ensuring that statements and billing is current and up to date allows for any business to function with efficient flow and process.